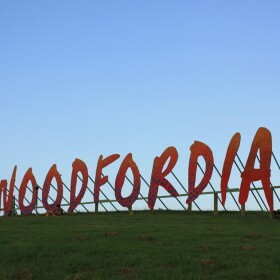 A Queensland icon, the Woodford Folk Festival, is held each year on a 500 acre parkland, on Jinibara Country, named Woodfordia. The land is home to an array of events with a vast range of attendance levels from 300 to 45,000 people. Moreton Bay Regional Council in conjunction with Queensland Folk Federation (QFF) has identified the potential to grow the range of events held at Woodfordia in the future. As part of the development of the draft Planning Scheme for Moreton Bay Regional Council, the Woodfordia Local Plan has been compiled to establish the relevant planning as well as facilitate ongoing use of the site as an events venue. Lambert & Rehbein was initially commissioned by Moreton Bay Regional Council to undertake a road impact assessment (RIA) for Woodfordia. The aim of the RIA was to assess the potential traffic impacts associated with different sized events. The RIA formed the basis of advice regarding the potential need for Capital and Non Capital works to improve the safety and efficiency of the adjacent road network. Ongoing discussions with Moreton Bay Regional Council and Transport and Main Roads identified a need for a framework to be established for future RIAs, for all new events. Lambert & Rehbein were integral in the development of a supporting Planning Scheme Policy that outlines the process for assessing the potential transport impacts on the external road network along with key considerations required in relation to the development of an event transport management plan. Moreton Bay Regional Council are continuing to address the conditions set as part of the Minister’s Approval of the Draft Planning Scheme. Timeframes are yet to be confirmed, but Moreton Bay Regional Council hopes to bring the draft back out to the community in the near future.